The most unusual sighting today was a Bittern seen by Terry Hobson at Wykeham South Lake, it was only seen in flight and despite being looked for throughout the day it was unfortunately not seen again. Terry is getting greedy, two records of Bittern this year and he’s seen both of them. Also here today were 2 adult and a juvenile Little Ringed Plover, 2 Curlews flew west and 9 singing Reed Warblers were located there this evening. 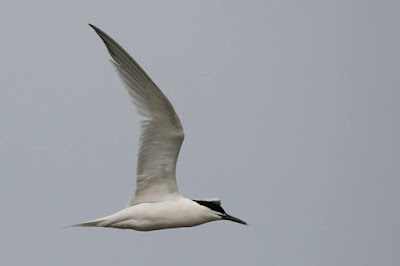 The Sandwich Terns at Scalby Mills had doubled to 42 today. Four hours at Wykeham Raptor View Point produced no sightings of Honey Buzzard today but Turtle Dove was seen nearby.